Lupton Interior Design are specialists in home renovation advice, full/part room designs and colour consultations. We offer local in-home consultations as well as e-design remotely from our studio in Lake Macquarie. Whether you're about to embark on a renovation, down-sizing to a smaller forever home or building and struggling with paint and finish selections, or just not able to translate your design ideas into a reality. Lupton Interior Design will guide you through making decisions to help bring your vision to life. Chris Cole-Clark Interior Designer is an award winning Australian business based in Maitland in the Hunter Valley and Paddington Sydney with projects from the past 12 months found in Maitland, Newcastle, Sydney and all over New South Wales, Melbourne and further afield to London, England. Demonstrating the flexibility to take on projects in any location. Providing design expertise of elegance and distinction for more than 20 years for residential, commercial, hospitality, light industrial and health care projects of all scales – from smaller specialist works with colours and furnishings to larger projects requiring major refurbishments and new construction. Hi, I’m Allison. Welcome to Green Apple Interiors & Design. Since starting up my business, I’ve really been ‘living the dream!’. Connecting with clients and creating spaces is what makes so passionate about being an Interior Designer. Designing your space, whether it is a small-scale renovation, commercial re-vamp or a new home build, should be exciting and fun, and selecting the right person to take you on the journey is a vital decision in the process. I offer a personalised service to all my clients, regardless of the size or scope of the brief, and encourage them to have fun with the projects. My philosophy is ‘design without ego’. This means working with my clients to create spaces and experiences that enhance lives, whilst performing to technically sound construction standards and incorporating sustainable design practices. I'm so excited to meet you! Swish Concepts is a boutique consultancy centrally located in Hamilton. Helen and her staff are all highly qualified and experienced in residential and commercial interior design. We service Newcastle, Lake Macquarie, Port Stephens, Hunter Valley, Central Coast and Fiji. Interior Designer Tina Elliott provides a clarity of design second to none. Tina’s vision and execution of work are sleek, defined and bold. For home furnishings please visit us at the House of Elliott showroom located in Perkins Street Newcastle. House of Elliott is in the unique position of being able to supply staging product direct from our own showroom. Staging is completed personally by Interior Designer Tina Elliott, resulting in quality, finesse and efficiency. Interior Designer, Decorator, Colour Consultant, Window Furnishings, flooring & tile selection, Kitchen design, small renovation to full house build. Maida Vale Design is a boutique Interior Design practice, specialising in creating inspiring spaces to work, live and play in. 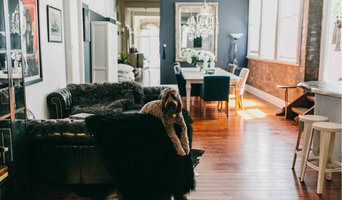 Having designed homes for NSW's leading Professional Builders and with over 10 years of experience renovating character properties, Amy's vision & wide range of skills make her a wonderful resource when it comes to creating your dream space. In addition to a full range of Interior Design Services for Newcastle based clients, we also offer a comprehensive Online Interior Design Service, specialising in children's interiors. Amy can conceptualise your design needs and present realistic digital design boards and computer generated renders to assist in making your design come to life. Something More Design is where two creative fields have come together to create unimaginable designs. Bouncing concepts and solutions off each other to create a dynamic result. We come together as a quirky little package - but if you just need Interior or Graphic Design you are still in the right place. Yak and Yeti fuse contemporary design, layered with an eclectic approach by using our design expertise and passion creating unique environments that reflect our clients individual taste, personality and lifestyle. From the design brief we integrate the blue print, the conceptual layout with the surrounding environments by linking key rooms and spaces together through our innovative design process. The studio works on small to large scaled projects creating well resolved cohesive designs on any budget. Weather you need some interior styling advice to bounce or confirm ideas or if your embarking on a renovation, new build or a commercial property refurbishment that you want to bring to life or power up your brand we can help. Yak and Yeti have a unique relationship with our local and interstate suppliers offering our clients exclusive Designer Wholesaler prices enabling us to specify signature key pieces to enhance and complete your project. Yak & Yeti constantly evolve to embrace new trends and inspirations drawn from around the world from travel to fashion, nature, and day to day life. Be inspired by Yak & Yeti we will work with you to create a space that you love. Horton & Co. is an Interior Design practice based in Newcastle, Australia. We are committed to creating original and distinctive design solutions to our client’s design problems. At Horton & Co. we believe that everyone deserves to live and work in spaces that bring pleasure and joy to their lives and that with creativity good design is always achievable. Horton & Co. interiors are known for their contemporary, layered, eclectic approach, reflecting a strong individual style. Horton & Co. was established by Interior Designer Stewart Horton after returning to his hometown of Newcastle. Stewart spent many years working with a renowned Sydney-based Interior Designer where many projects were shortlisted for major design awards and featured in national and international design publications such as Belle, Vogue Living, Wallpaper and House & Garden magazines. What we do? Horton & Co. works on residential, commercial, retail and hospitality design projects in Newcastle, The Hunter Valley and all around Australia. The practice offers a full design service for its clients from concept design, documentation and council approvals, through to construction administration, as well as interior decoration. The firm has extensive experience working closely with other industry consultants such as architects, builders & suppliers. Further information about our services is available under our Downloads section. Interior spaces to inspire and support our mind, body and spirit. Billy Hoo Studio creates spaces that grow with our clients to support their goals and ambitions and at the same time provide daily sanctuary and respite. We partner with local Australian makers and businesses who have a strong environmental focus and produce quality products and services to offer you the tools and support to create a healthy, happy home or work space. Our aim is to be proactive in the development of environmental stability for future generations while at the same time creating beautiful, healthy interiors with less ego and more love. Billy Hoo's Director, Jo Scott, is an experience and fully insured interior designer over ten years experience. Jo has worked with some of Australia's largest and best known brands and with award winning builders and architects across the country. 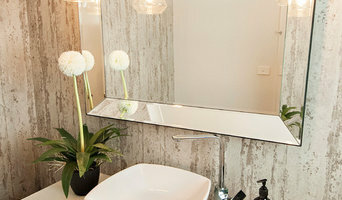 In both 2011 and 2012 Jo was one of a panel of judges responsible for judging and critiquing some of the country's best bathrooms and kitchens for the Housing Industry of Australia's prestigious bathroom and kitchen awards. Kelly is a local Hunter Valley Interior Designer, she is passionate about creating beautiful spaces for real people to use and enjoy. All projects big and small are personalised and tailored to your individual needs. Kelly is down to earth, knows the importance of good communication and takes the time to get it just right. On occasion, interior designers in Newcastle, New South Wales will need to subcontract help from other Newcastle, New South Wales professionals to help create the perfect look for your home renovation. These may be specialist installers or interior decorators like kitchen designers, architects or landscape contractors. Start by asking yourself what you want your space to become and how it will be used. List your must-haves and decide on your budget. Interior design services can add up fast, so be upfront with potential interior designers from the beginning. Also, pick a designer in Newcastle, New South Wales that fits your style. Browse through their interior design portfolio on Houzz and ask yourself if you’d live in any of those houses. If the rooms inspire you, take note of what elements you appreciate. 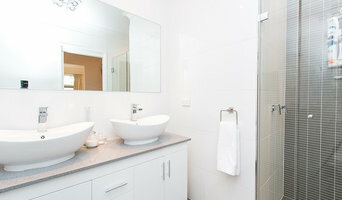 Find residential Newcastle, New South Wales interior designers on Houzz. Scroll through this page to find interior designers in your area. Then, browse their design portfolios to see how their work compares to the scope of your project. You can read reviews to see how other homeowners rate their work, and message them directly to to ask any specific questions.